What to do when treatment becomes trauma Of increasing concern to all health professionals is the mental and emotional trauma that can result from adverse medical experiences ranging from life-threatening events to even routine medical procedures. 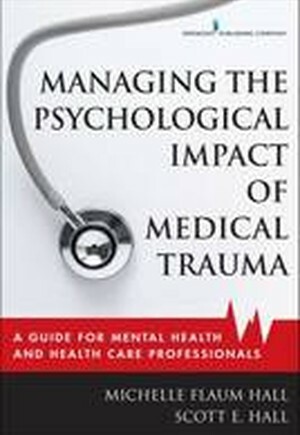 This groundbreaking book is the first to conceptualize the psychological aspects of medical trauma and provide mental health and health care professionals with models they can use to intervene when treatment becomes trauma. The book delivers systems-level strategies for supporting patients and their families who experience distress in the medical setting or as a result of life-threatening or life-altering diagnoses and procedures. Reflecting the growing trend toward interprofessional practice and training in health care and initiatives toward patient-centered care, the book also describes models that promote the seamless integration of mental health professionals into the health care team. The book reflects the PPACA mandate to integrate mental health services into health care in order to both ensure the psychological and emotional well-being of patients and to provide support and guidance to health care professionals.